Nick is a trial attorney and Partner at Murphy, Falcon & Murphy. Driven by his desire to fight for victims of negligence, Nick focuses his current practice on representing victims of personal injury including wrongful death, medical malpractice and toxic substance poisoning. Within months of joining the Firm, Nick, along with Partners Billy Murphy and Paula Xinis began a multi-week complex trial on behalf of more than 75 individual plaintiffs in Baltimore City. Since joining the Firm, he has successfully represented victims of medical malpractice–including a major-league baseball player-, victims of carbon monoxide poisoning, dozens of clients injured in commercial-vehicle crashes and he was also a member of the team representing victims of Flint Michigan’s water contamination in a class-action. Prior to joining the Firm, he was the managing attorney at a boutique law firm in Baltimore representing victims of childhood lead poisoning. Nick has obtained multiple multi-million-dollar verdicts at trial and, over the course of his career, recovered more than $90 million for his Clients through trial and settlement and is a lifetime member of the Multi-Million Dollar Advocates Forum®. Nick regularly practices in state and federal courts across the country and served as Chairman of the Unsecured Creditor’s Committee in a multi-million-dollar bankruptcy in Baltimore. 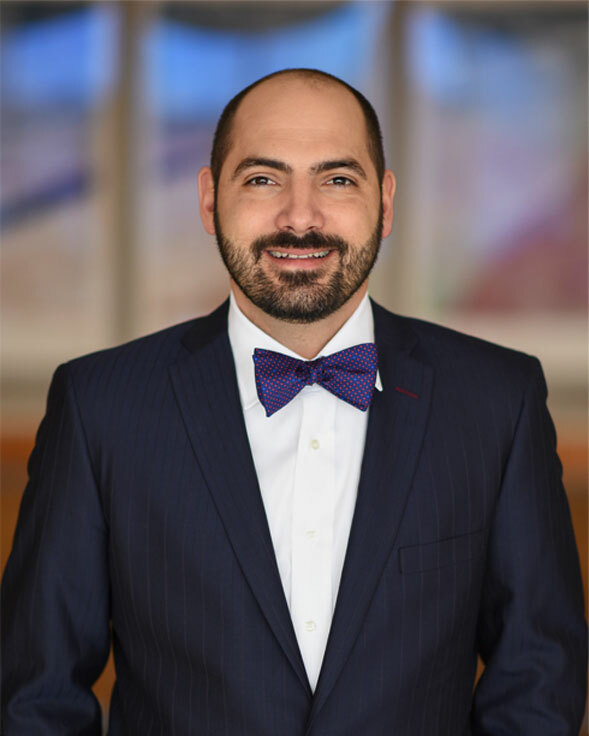 Driven by his desire to fight for victims of negligence, Nick focuses his current practice on representing victims of personal injury and wrongful death including medical malpractice and toxic substance poisoning. Because of his commitment to providing legal services to people in need, he has provided volunteer legal services to families referred by the Maryland Disability Law Center, an association of military veterans and has served on the Maryland Attorney Grievance Commission’s Peer-Review Committee since 2011. He is a former member of the Board of Governors of the Maryland Association for Justice, formerly the Maryland Trial Lawyers Association and a former Co-Chair of Education and Program Committee. He has been an invited speaker to dozens of national legal seminars including health-care reinsurance conferences. A graduate of the University of Baltimore School of Law, he resides in Baltimore County, Maryland with his wife —a former Assistant States Attorney — two daughters, one dog and one cat; all of whom only occasionally listen to him. He is also the proud father of a son who serves as a combat medic in the United States Army. He is an accomplished endurance runner with more than 9 marathons under his running shoes and dreams of a Boston Qualifying time. Lead counsel in class action brought in wake of the Flint, Michigan water crisis. Obtained a reversal of lower court by Sixth Circuit Court of Appeals reinstating Plaintiffs’ case. Boler v. Earley, 865 F.3d 391 (2017) ( Denied 138 S.Ct. 1285 (2018)) (Holding that the Safe Drinking Water Act does not preempt constitutional claims brought to recover for damages from contaminated water). Lead counsel in class action brought in wake of catastrophic school-bus crash that killed 6 elementary school children and injured 31 other children. S., et al., v. Hamilton County Department of Education et al. Argued August 3, 2018 United States Court of Appeals for the 6th Circuit. Lead counsel for medical malpractice victim injured when acid solution mistakenly used during colposcopy procedure. Lead counsel for medical malpractice victim injured after wrong diagnoses of cancer resulted in breast removal. Lead counsel for medical malpractice victim released to full physical activity too early after spine surgery. Lead counsel for tenant with severe and permanent brain damage after carbon monoxide poisoning due to faulty exhaust vent. Lead counsel for college athlete stabbed in the neck and lungs by bar patron ending athlete’s prospects in the upcoming NFL draft. Led trial team in obtaining $565,000 verdict for plaintiffs in February 2015. Led trial team in obtaining $5.08 Million verdict for plaintiffs in November 2014. Led trial team in obtaining $1.6 Million verdict for plaintiff in October 2014. Second chair in trial team that obtained one of the top-ten Plaintiffs’ verdicts in Maryland in 2009 of $2.56 Million. Chairman of the unsecured creditors’ committee in bankruptcy proceeding of debtor and affiliates with hundreds of pending lead-poisoning claims and significant insurance-contract assets. 2013-2015. In re City Homes, et al. Successfully litigated appeals regarding complex applications of law including the collateral order doctrine, Vernon Wheeler, et al., v. Stanley Rochkind, et al., No. 1591 Sept. Term 2005 (Md. App. 2006), and the inapplicability of piercing the corporate veil to determining the liability of a corporate officer where the stockholder status of the officer was merely incidental. Shavonne Garner, et al., Stanley Rochkind, et al., No. 1125. Sept. Term 2005 (Md. App. 2006). Secured a significant reduction in the sentence of client previously sentenced to life-imprisonment at the age of fifteen. State of Maryland v. William P. Ford, III, Baltimore County Maryland Circuit Court Case No. : 03K95000866. Featured in the Maryland Daily Record June 29, 2005. Secured immediate release of client who was the subject of landmark United States Supreme Court opinion Farmer v. Brennan, 511 U. 825 (1994). State of Maryland v. Douglas Farmer, Baltimore County Maryland Circuit Court Case No. : 03K86003175. Featured in the Maryland Daily Record February 17, 2005.